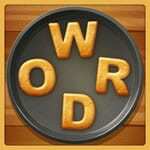 Word Cookies Pomegrana Answers - Full Game Latest Answers! Word Cookies is one of the top games for the moment. This game has been on the top of Word games in Play Store and App Store for almost all year 2018 and starting of year 2019. Word Cookies is developed by Bitmango which is well known for their games like WordBrain and Block Hexa Puzzle. We are fans of this game and we have solved all their levels starting from Home Baker until Jackfruit category. We have posted Word Cookies Jackfruit Answers aswell which is the latest category of the game until January 2019. Word Cookies Solutions we have posted here are categorized and very easy to navigate through them and very easy to find the correct answers or solutions for specific levels.